Amplifier is an electronic audio device. Microphone etc are connected to it. We did not try to add too much detail to keep it light and simple. If you need a more detailed version we will be happy to make it for you. 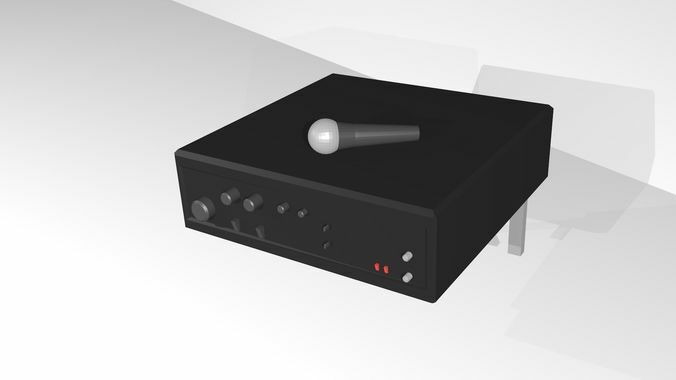 We look forward to make light detail models for you in the lowest possible price. =================== Renders are made in blender. If you experience difficulties with separating standard parts we are more than happy to give you qualified assistance.